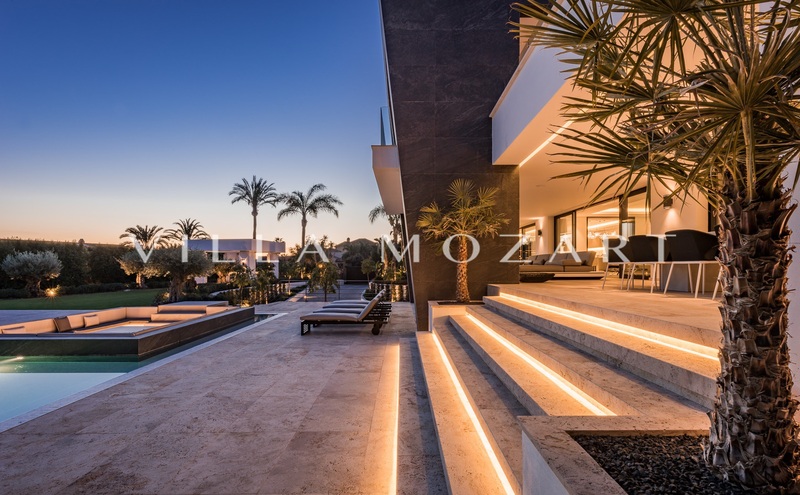 Villa Mozart's beautifully landscaped gardens have been designed to create a series of distinct spaces – some more intimate, some ready to be shared – in a coherent whole. 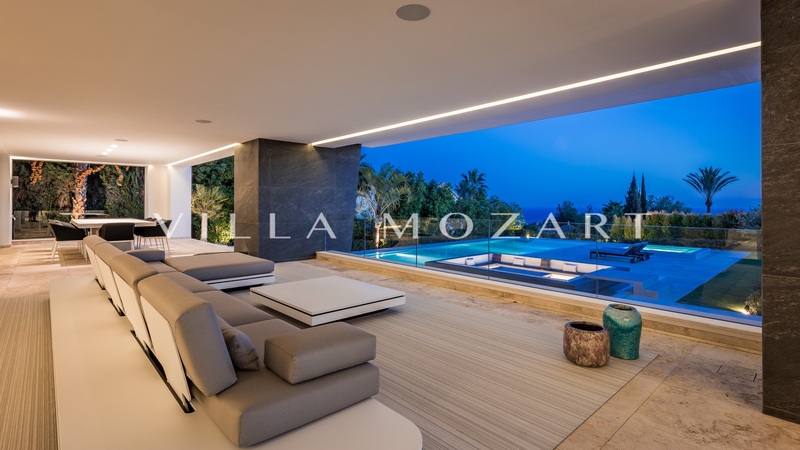 The use of evergreen Mediterranean vegetation – such as lentiscos and cypresses – to delimit space and define areas gives the gardens of Villa Mozart both a contemporary, structural quality and a restrained subtlety that helps blend into their surroundings. 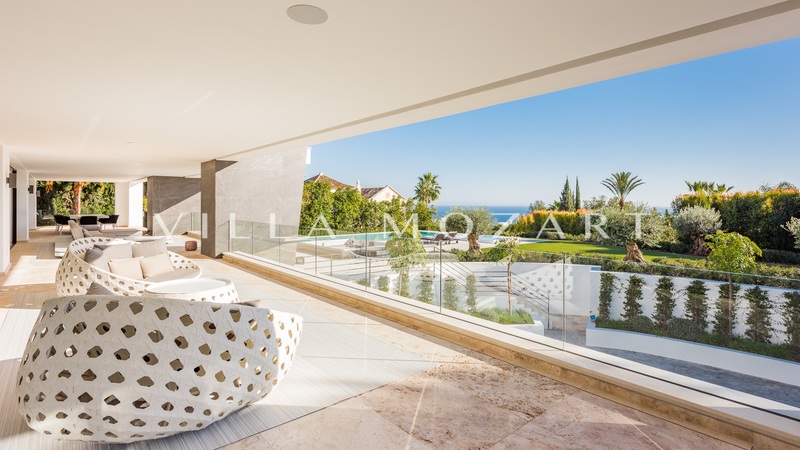 The constant murmur of water and the presence of shade makes them a peaceful and contemplative space that acts as a natural extension of the house.